enriquePoe | enriquePoe nabs 9 Rosie award nominations! enriquePoe nabs 9 Rosie award nominations! AMPIA announced the 2018 Rosie award nominations and enriquePoe Moving Pictures two eligible productions Rare Mettle and All the World’s a Stage garnered nine nods! Sincere congratulations and thanks to everyone involved in these documentaries. Thanks also to TELUS, the Alberta Media Fund and the Alberta Foundation for the Arts. 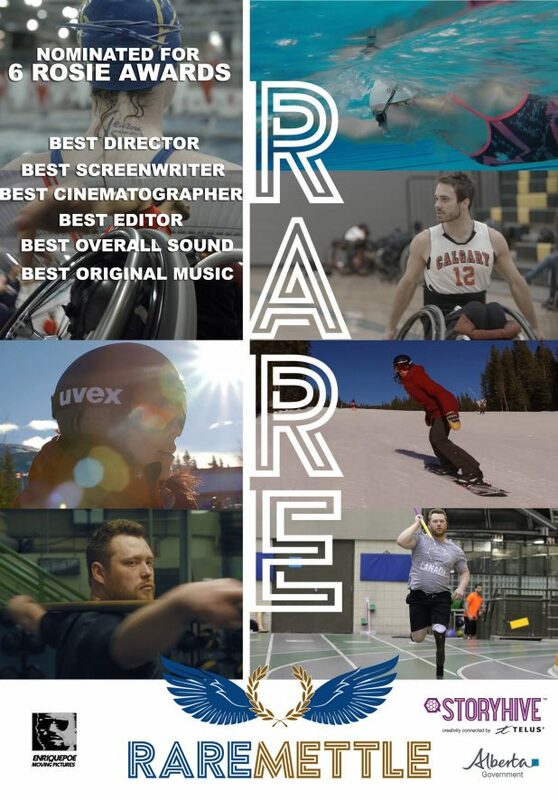 RARE METTLE — Best Director – Corey Lee, Best Screenwriter – Corey Lee, Best Cinematographer – Tyler Richardson, Best Editor – Sarah Taylor, Best Overall Sound – Dary Barclay, Justin Ross & Jonas Hurtig, Best Original Music Score – Alec Harrison. 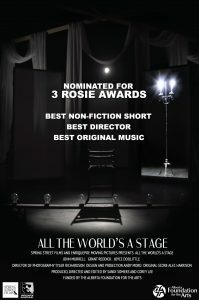 ALL THE WORLD’S A STAGE — Best Non-Fiction Short, Best Director – Sandi Somers & Corey Lee, Best Original Music Score – Alec Harrison. The 44th Annual Rosie Awards Gala will take place on Saturday, May 12 in Calgary where a Lifetime Achievement Award will be presented to the fabulous Bonnie Thompson of the National Film Board of Canada. ← All the World’s a Stage — FESTIVAL SCREENINGS ANNOUNCED! !